Camp Shelby Miss. 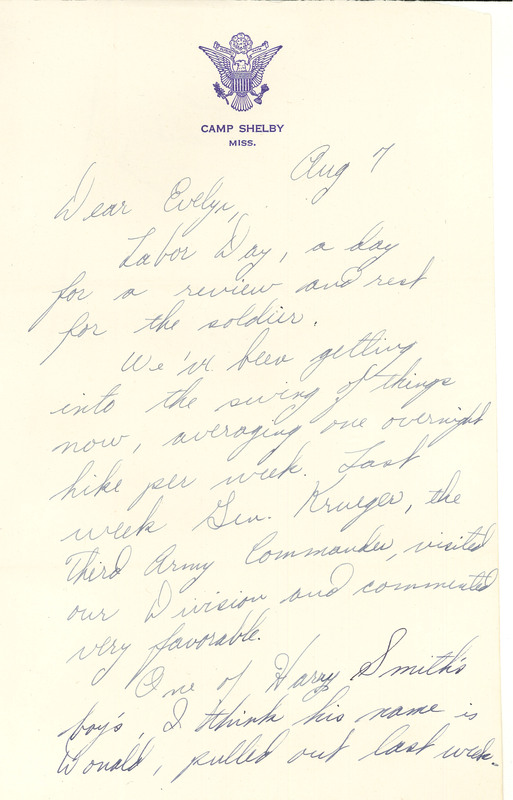 Aug 7 1942 Dear Evelyn, Labor Day, a day for a review and rest for the soldier. We've been getting into the swing of things now, averaging one overnight hike per week. Last week Gen. Krueger, the Third Army Commander, visited our Division and commented very favorable. One of Harry Smith's boy's, I think his name is Donald, pulled out last week.